Shardee Manzouri, Channel Marketing Manager at Sottini, believes that by using elegant design, housebuilders can create inspirational and imaginative bathrooms. Sottini’s Fusaro collection takes inspiration from Italian design styles. Over the years, residential bathrooms have come a long way in terms of both design and functionality. These private spaces have become rooms for occupants to escape from the daily stresses of their modern lives, sanctuaries for them to relax in, especially within a busy family home. Today, homeowners take pride in their bathrooms, and housebuilders should design them with the end-user’s experience and wellbeing in mind. The UK Green Building Council’s Health and Wellbeing in Homes Report recently found more than 30 percent of homeowners would be willing to pay more for a house that contributes to their wellbeing. Pairing wellbeing with outstanding design using an elegant balance of craft and creativity is the key to creating unforgettable, relaxing spaces. In those properties where premium aesthetics are prioritised, the choice of ceramic products, including basins, toilets, and bathtubs can elevate a nice bathroom to an inspirational one. These elegant bathrooms are a high priority for homeowners and are expected to last for years – and in some cases decades. This means the best products should stand the test of time when it comes to both quality and design. At Sottini, we’ve recognised a number of consumer trends, such as soft square design, which have been incorporated into our latest product ranges, giving housebuilders unique possibilities which can help them differentiate their projects. Bathroom trends include the softening of edges and corners of basins. 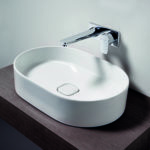 At Sottini, we are seeing a growing trend which moves away from harder, squarer basins. By softening the corners and edges of basins, gentle curves can be created, bringing a quiet elegance to a bathroom interior. Clean lines and soft contours of ceramics can be used to create greater feelings of openness and space. Our recently released Fusaro collection takes some inspiration from Italian design styles, featuring the more contemporary curves that are increasingly sought after. 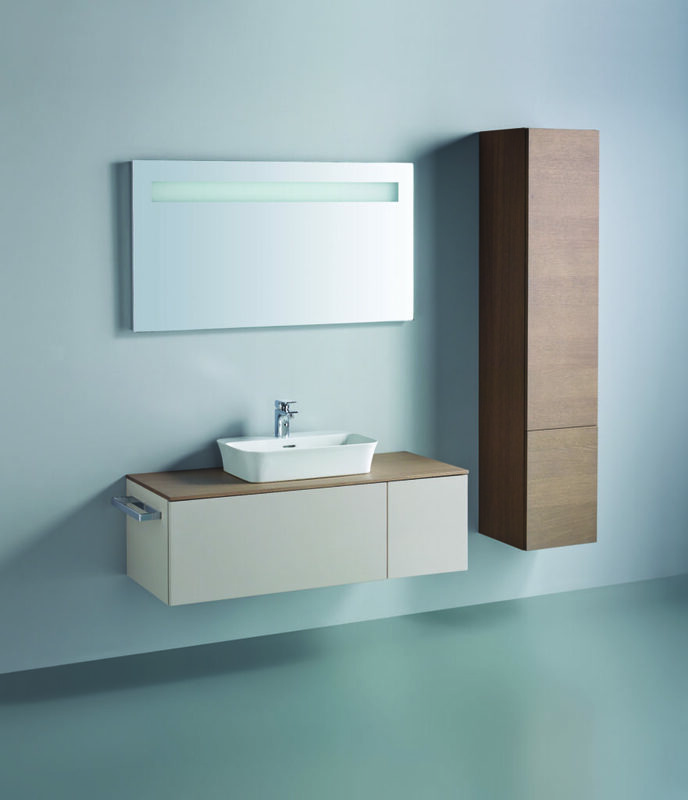 The extensive range, made up of vessels, vanities, basins and WC’s, also sets new standards for design, versatility, ease of installation and maintenance. 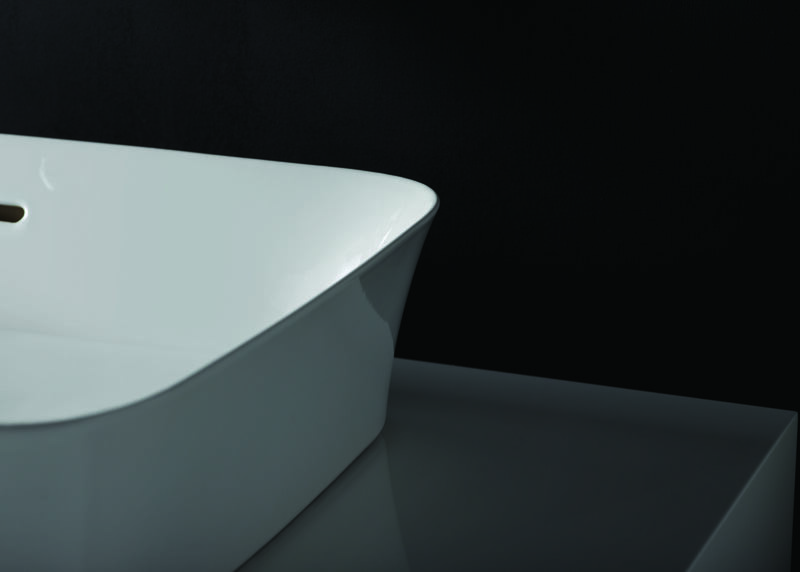 As well as being seamlessly elegant, the basins come in a variety of organic forms including redefined circles, ovals, softened squares and smooth cornered rectangles for every conceivable installation. We know that consumers don’t want bulky and bland, they are looking for refined, more graceful solutions, which means housebuilders should consider light designs and slimmer looking products. 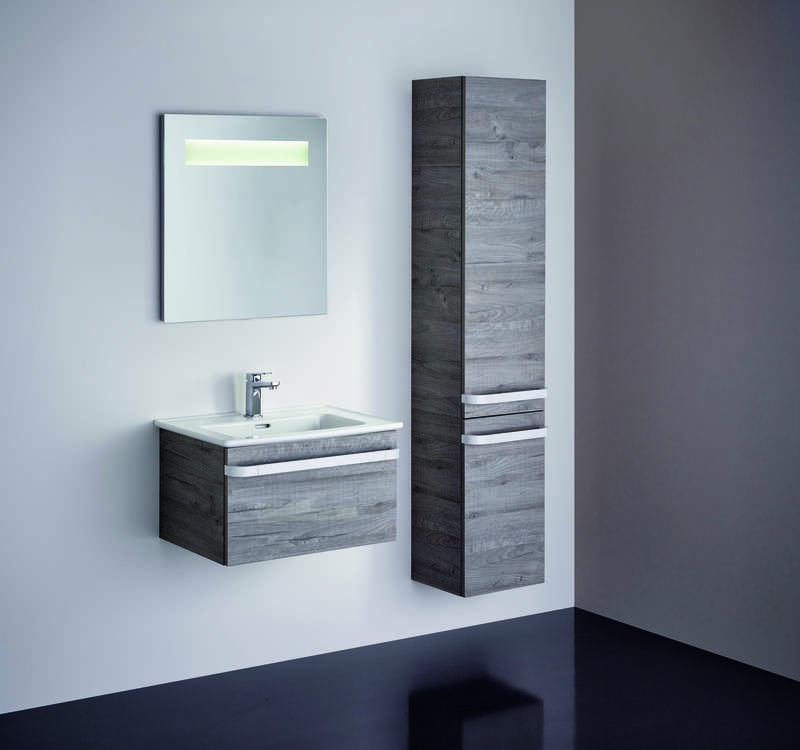 The latest production techniques and technology such as those used by Sottini mean that bathrooms can now tap into this fashion for sleek interiors, transferring the minimalistic trend seen throughout the rest of the household with the introduction of incredibly thin-walled ceramics. 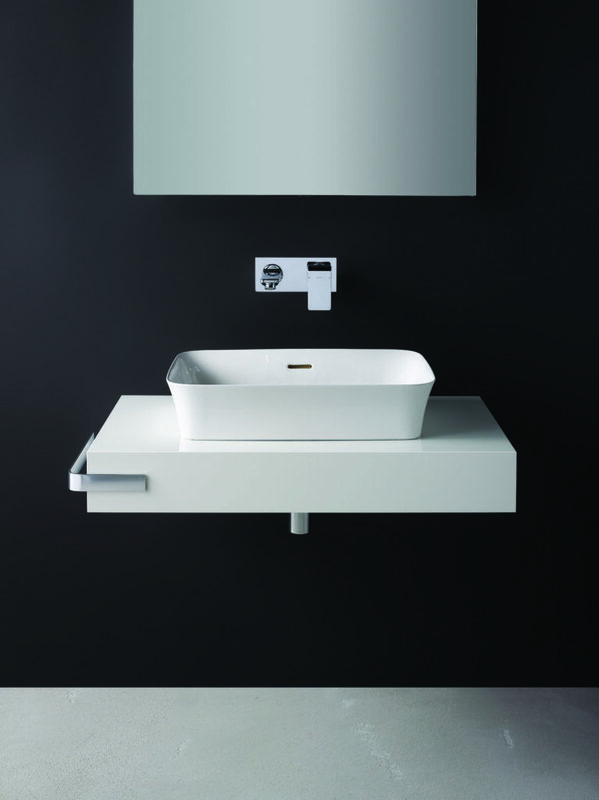 Ellero washbasins have a distinctive look and are designed to meet the demands of all environments. 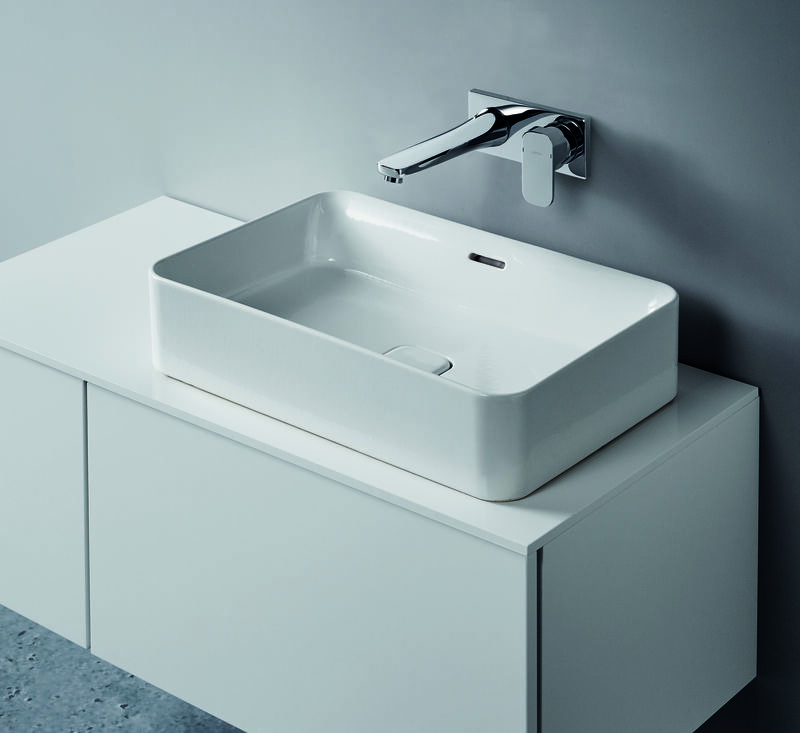 Sottini’s new Ellero range, for example, comprises a number of distinctive slim vessel washbasins with a super fine 3mm rim, which are both very hardwearing and elegant. Like all Sottini products, these lightweight solutions are manufactured on a foundation of quality but are equally renowned for their innovation and creativity. To help make these products possible, Sottini makes use of a unique technology – Diamatec – which allows us to produce fine, thin, straight ceramic edges that are also extremely strong, and appropriate for a wide range of demanding environments. The Ellero range is a perfect example of how timeless bathroom solutions can be made using modern manufacturing methods. Diamatec was developed following investigation into other demanding environments where ceramics are expected to be thin, strong, and attractive, such as hotel tableware. We chose the best and latest technologies from these and other sectors, and precisely blended ingredients such as alumina, known for its rigidity and strength, and chamotte, which prevents cracking and adds structural strength. The result is a new material that is particularly suitable for a range of settings, such as a family home, where the need to combine strong aesthetics with hard-wearing durability is paramount. For housebuilders working on premium properties, Diamatec products have been robustly tested to give peace of mind and confidence. The Ellero washbasins, for example, have been proven to resist heavy usage over an extremely long period of time. By working with Lucideon, an independent material testing body, Sottini was able to illustrate the robustness of the products using stress and chip testing methods. Time spent in the bathroom should be a deliberately unrushed experience. It’s known that there is a direct link between overall wellbeing and environment and homeowners are willing to pay more for properties with comfortable yet bold spaces. With this in mind, housebuilders who recognise the importance of end-user appeal must select bathroom solutions which not only stand the test of time in terms of usage, but also in design.